For almost a decade moon bears have been classified as “vulnerable” in the wild, but has bear bile farming actually pushed them to the edge of extinction in Vietnam? There’s no doubt that the number of moon bears in Asia has been rapidly declining since the 1990s when demand for their bile exploded, fuelling a sharp rise in poaching and the cruel and illegal practice of bear bile farming, particularly in Vietnam and China. But how dramatic is the decline? That’s one of the most important – and toughest – questions for experts to answer. Unfortunately, no one knows for sure. The IUCN, which issues the annual Red List of Threatened Species, considered to be the world’s most comprehensive inventory of the conservation status of animals and other species, has classified moon bears and sun bears as “vulnerable” or at high risk of being endangered across the whole of their range since 2008. This is the lowest of the threatened categories and across the entirety of the bears’ natural habitat it could be accurate. Yet, within national borders – where the stresses on wild populations both originate and are mitigated – the situation can be completely different. In the case of Vietnam’s disappearing moon bears, I would argue the situation may well be much worse – and this worries me. While no one would suggest that exaggerating the problem is a good idea, there’s a danger in underestimating it. We risk misjudging both the gravity of the situation and the urgency of raising the necessary resources, willpower and drive to prevent the tragic extinction of yet another species. For moon bears in Vietnam, the reality on the ground is highly alarming and leads us to believe they are more than vulnerable. 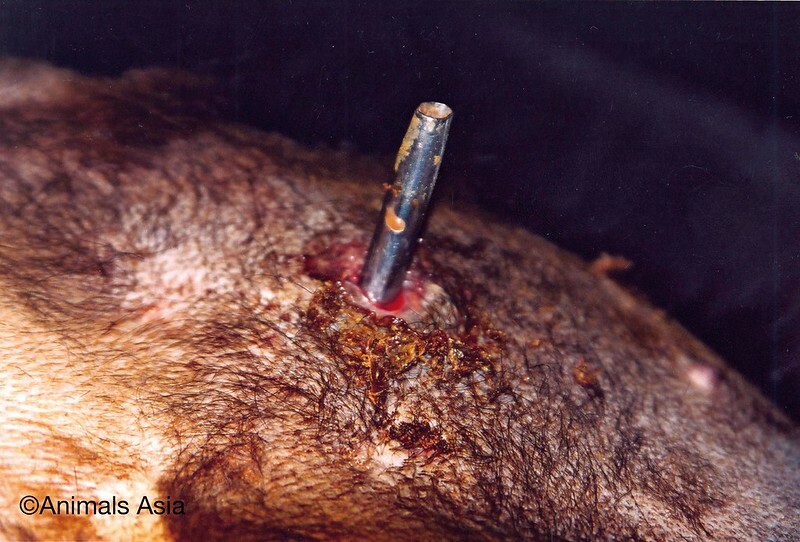 Even though bear bile farming is illegal in Vietnam, bears continue to be snatched from their ever-shrinking natural habitat and sold to farms where they endure unimaginable suffering so their bile can be extracted and used in traditional medicine. When Vietnam introduced legislation in 2005 to ban the extraction of bear bile, it allowed farmers to keep their bears as long as the animals were microchipped and the farmer had signed a declaration to no longer draw bear bile. More than 4,000 bears were microchipped at the time in the hope it would prevent traffickers from emptying the forests of bears and selling them to bile farms. While this has broadly been successful, it hasn’t been perfect. Since then we have encountered scores of unregistered, unchipped bears, including a group of 80 bears discovered on bile farms in Halong Bay in 2008, and nearly 30 cubs found on a bear farm in Hanoi in 2007. Unlike their counterparts in China, bear bile farmers in Vietnam are not able to breed bears, so we know these animals were victims of poaching. This tells us that at least 4,000 moon bears were poached in Vietnam and surrounding countries for the bear bile industry and that the true number is probably much greater. While today nobody can claim to have a truly accurate figure of the number of bears remaining in the wild, I’ve heard colleagues speculate it could be as low as 200. Even the number of bears on farms has plummeted from 4,000 to approximately 1,000 with the vast majority having died. The lucky ones – nearly 200 bears in all – have been rescued from farms where they were kept in appalling living conditions – starved, diseased and locked up in tiny metal cages – and transferred to our sanctuary in Vinh Phuc province. There are other indicators to suggest Vietnam’s bear population is severely threatened. 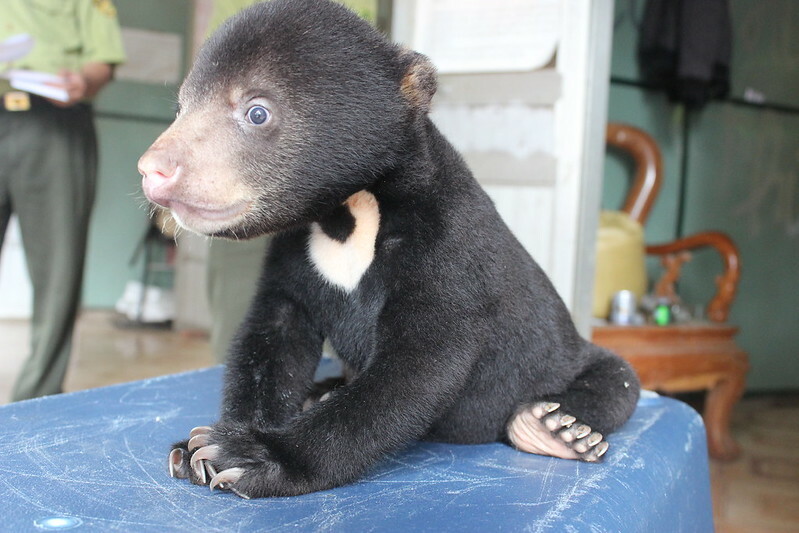 Only one in three of the cubs we rescue in Vietnam are believed to have come from Vietnamese forests, the rest are smuggled in from neighbouring Laos. This tells us that the local bear populations are so depleted in Vietnam poachers are having to go elsewhere. More bad news came from our 2016 wild bear survey, in partnership with Free The Bears. The survey showed an absence of any significant groupings or strongholds for bear populations anywhere in Vietnam. There was not a single site across 22 protected areas in Vietnam where the data suggested anything other than the sustained decline of the bear population. Yes, camera trap images confirmed the presence of Asiatic black bears in a number of areas, but we fear individual bears detected by a camera trap or hunted by poachers over the past few years may represent the last of a generation. In national parks such as Tam Dao, where our Vietnam Bear Rescue Centre is situated, bears are already extinct. Bears that have managed to cling on elsewhere face a constant battle to evade the poacher’s snare and the chipping away of their natural habitat through illegal logging and deforestation. 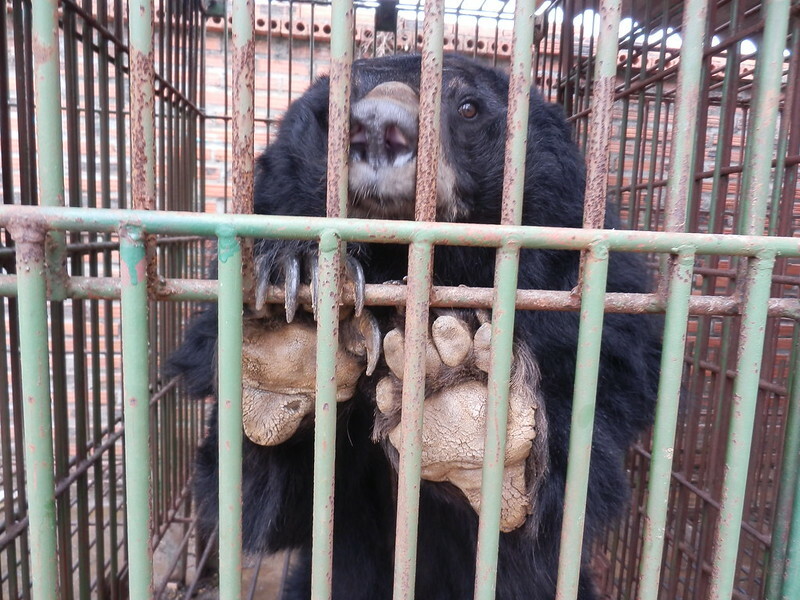 As long as consumer demand for bear bile persists and farms continue to hold bears in outrageous conditions then the threat to the survival of the species within Vietnam will remain critical. Until we are absolutely sure the threat to bears has disappeared in Vietnam, let’s treat these magnificent creatures as an endangered species who may well die out in the very near future if the momentum to rescue them from horrific captivity and exploitation is lost.